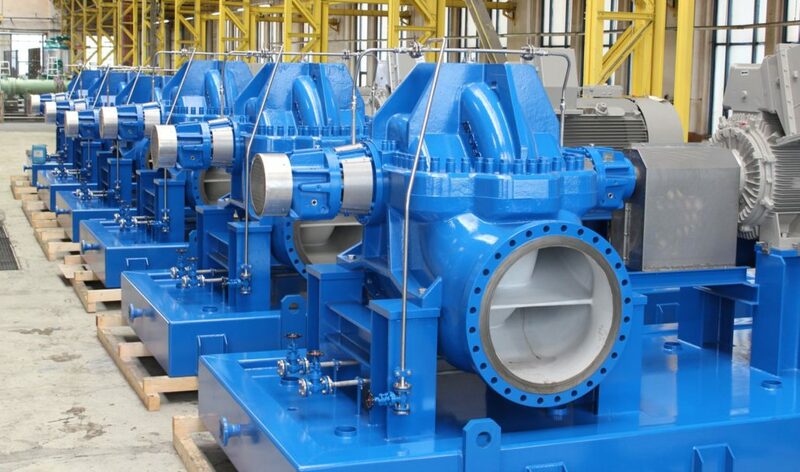 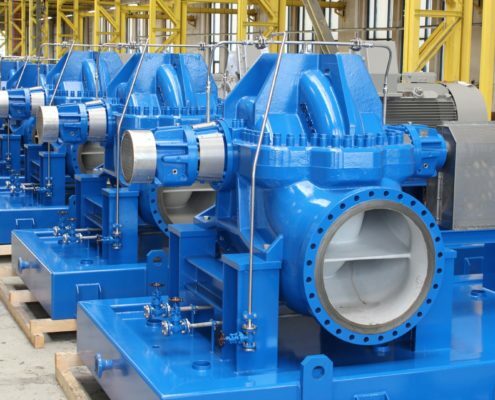 Our basic API 610 type BB1 pumps are foot mounted, axial split, single stage, double suction, between bearing pumps. 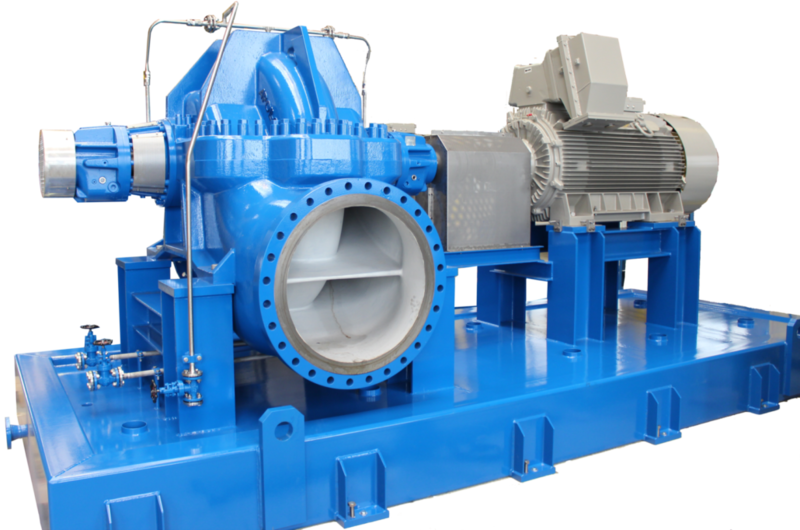 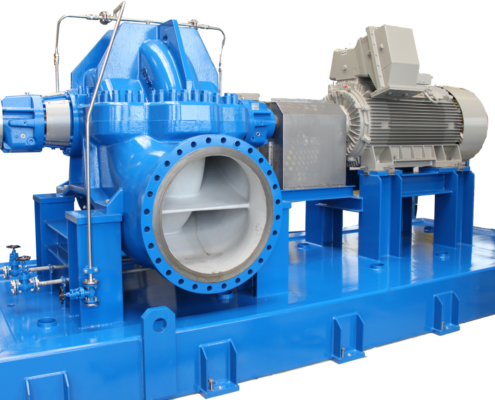 The pump and motor are flexibly coupled and installed on a common baseplate. 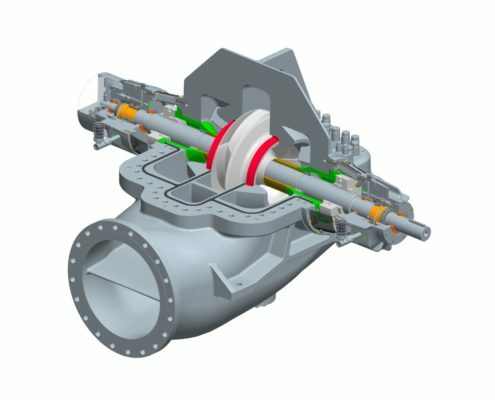 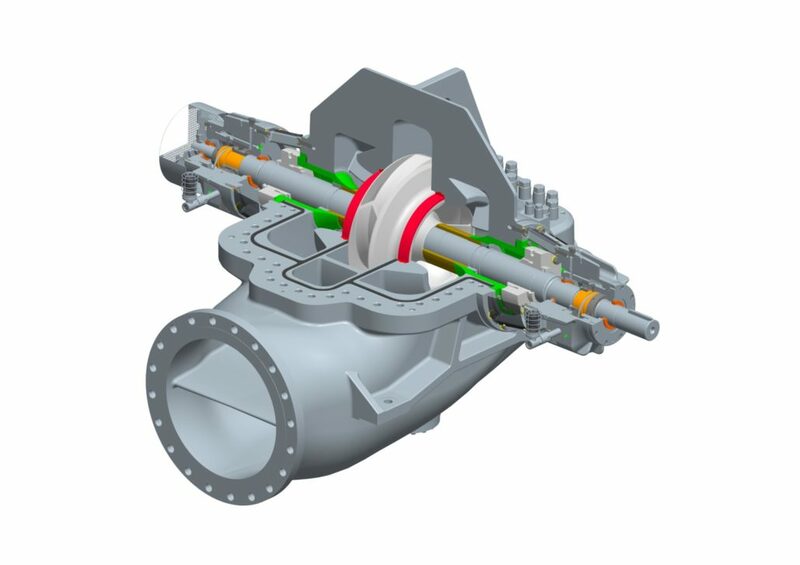 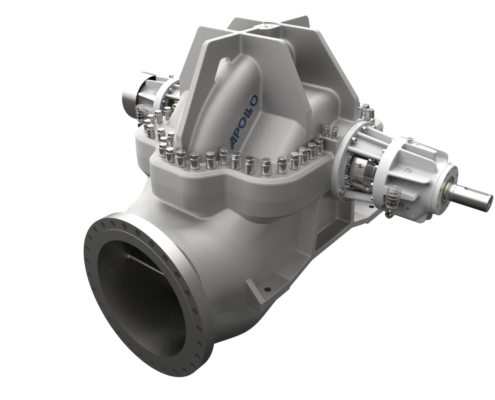 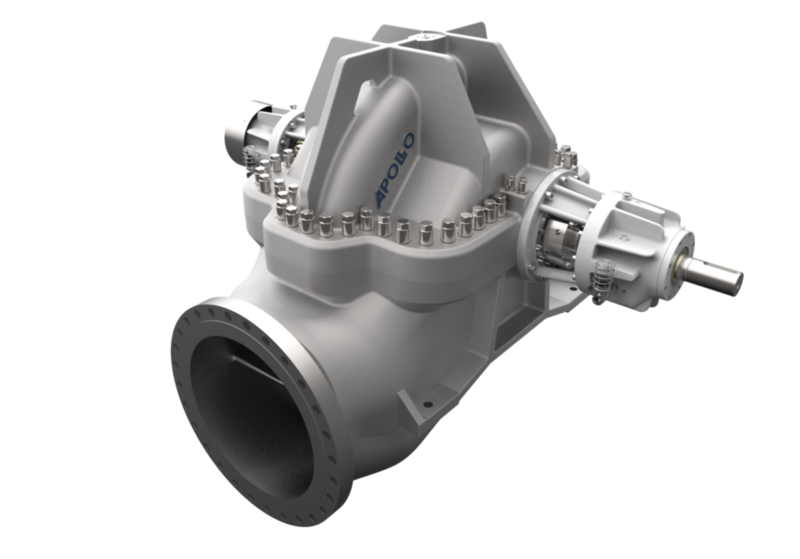 The axial split casing design allow removal of the rotor assembly without disturbing the driver, coupling hubs or casing nozzle connections.